Here is your list of absolultey incredible individuals and businesses involved in this year's inaugural Thrive Health and Wellness Festival. These empowering individuals will be teaching, speaking, demonstrating, coaching, etc throughout the weekend to make your experience at the Thrive Health and Wellness Festival, one you will not forget. Check out the long list of Thrive Ambassadors and the talks/courses/booths/classes you do not want to miss out on! Located steps from Canmore’s busy downtown you will experience a sanctuary of cozy shops, art galleries and of course, a charming neighbourhood pub, The Mineshaft Tavern. With an active property owners’ association, highly walkable trails and bridges connected to the town of Canmore, plenty of places to gather and uplifting views around every corner, the neighbourhood design sustains the warm spirit of community that thrives here. Canmore’s newest luxury Hotel and Crown Jewel of the Rockies. Come explore Alberta’s premiere new four-star hotel experience. It’s a landmark of luxury, contemporary design and gracious, personalized service. Just a five-minute walk from the heart of downtown Canmore, The Malcolm Hotel provides chic accommodations and resort-style amenities in the heart of the Alberta Rockies. Our breathtaking Spring Creek location offers effortless access to Canmore’s charming shops, art galleries and restaurants as well as the exhilarating mountain attractions and adventures of the Bow Valley and Banff areas. The Town of Canmore is one of the most beautiful places in all of Canada to live, work and play! Opening out across the floor of the Bow River Valley and flanked on all sides by the front ranges of the Canadian Rocky Mountains, Canmore offers the best of all possible worlds. Beginning with an enviable geographic location approximately an hour and a half from downtown Calgary and five minutes from Banff National Park east gate, Canmore offers not only a spectacular location but unequalled outdoor recreational opportunities, great food, and great shopping in the heart of some of the world's most breathtaking scenery. Banff Sport Medicine is a team of health care professionals whose goal is to provide world class care in sport-related musculoskeletal trauma and reconstructive surgery. The team is comprised of Orthopaedic Surgeons, Sport Medicine Physicians, Physiotherapists, Athletic Therapists, and Research and Administrative Staff. If you’ve found yourself confused in this emerging industry of cannabis, rest assured you’re among many. A new world has arrived with an onslaught of dispensaries, medical clinics, and soon, legalization. So how do you navigate this new, and ever-changing world? Then there’s medicinal cannabis. Canmore’s very own Compass Cannabis Clinic opened their doors in April of this year and operates as a legal, medical clinic. With licensed physicians and patient educators, we connect patients to Health Canada regulated Licensed Producers. FFG Business and Health Solutions is an independently owned and locally operated family business. FFG Solutions are focused on bringing you, and those important to you, business and health solutions that insure financial security in the face of adversity and bring you peace of mind. The Rocky Mountain Outlook is Bow Valley's No. 1 source for local news and events. Nestled in the heart of the snow-capped Canadian Rockies, Rocky Mountain Soap Company draws their inspiration from the raw and natural beauty that surrounds them every day. It shapes everything they do. Handmade in small batches using only 100% natural, simple ingredients, they spend our days working with growers sourcing the highest quality natural products and developing new recipes. Canmore Heath and Wellness Centre is your one-stop-shop for health and wellness. Their practitioners provide exemplary care to help you achieve your wellness goals. The centre offers: Naturopathic Medicine, Functional Medicine, IV Vitamin Therapy, Prolotherapy, Acupuncture, Traditional Chinese Medicine, Massage, Craniosacral, Visceral Manipulation, Bowen, Psychiatry, Psychology, and more! Hotel and Conference Centre. Hosting our events on Sunday October 28th! Vitallife Integrative Medicine is founded on the principle that by working together health professionals can help people heal more effectively. Founded by Dr Cheryl Cooper in 2006, Vitallife’s goal is to help their patients live healthy, active lives. They do this through their focus on physical, mental and emotional well-being. They are Canadian pioneers in the field of integrative medicine, an approach to medical care that focuses on the whole individual. They work together with you to develop an individualized treatment program specific to your needs. Vitallife draws on a variety of traditions, expertise, and modalities to address your health concerns and objectives. ISL Engineering are consulting engineers and land services professionals that are committed to inspiring sustainable thinking in transportation, land and water projects for the public and private sectors. They are set apart by our values. Their shared values are reflected in our everyday actions and represent the driving force behind the organization. "Being a pharmacist in a small community has always been my dream. I love getting to know patients and providing them with advice to aid their healthcare decisions. Providing advice on over the counter medications is just as important to me as providing advice on prescription drugs. Patients become family to me and I will go out of my way to make sure their needs are met. I am grateful to have been in Bow Valley since 2015. I look forward to Mint being the choice for friendly and knowledgeable service in the community." Jason Watkin, CEO of Purica and formulator of RECOVERY and Immune 7, is an enthusiastic speaker skilled at simplifying and invigorating seemingly confusing information. Jason presents powerful holistic strategies to improve overall wellness and to treat existing conditions utilizing principles of psychology, philosophy, comparative religion, nutrition and both natural and allopathic medicine. Purica is a family owned company based in Duncan, BC Canada on beautiful Vancouver Island. The Purica mission is to empower others with tools to recover health and embrace pure spirit. Purica helps others to help themselves by developing cutting-edge organic supplements and by advocating holistic and interdependent living. 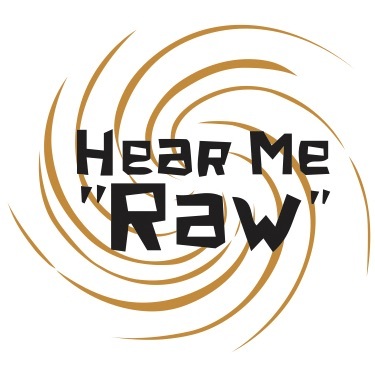 Hear Me Raw is a plant based , high vibe raw food company here in Canmore. Our focus is creating premium products that fuel your body with clean ingredients. All our products are superfood infused, created with intention and made with love. Everything we make is raw, gluten free, dairy free and refined sugar free. We are passionate about creating unique whole food treats that taste amazing and help you function at your optimal level. Changing lives, one test at a time. Dr. George Gillson started Rocky Mountain Analytical in 2002 with an eye to delivering top quality diagnostic testing. Dr. Gillson is a licensed physician and holds a PhD in Analytical Chemistry. Tanya Sullivan is a passionate cheerleader for a healthy holistic lifestyle. With her varied background in office administration, music performance and education and holistic nutrition, she brings an interesting perspective to health and wellness spurred on by her own and her families health challenges over the years. Digestive health and workplace wellness along with weight loss, auto-immune disease and osteoporosis are particular passions. She loves living the mountain lifestyle, is a passionate social advocate and volunteer. A bonafide collection of unforgettable travel moments, curated by a group of spirited, like-minded, and hands-on hosts. Based in and around the Canadian Rockies, the Adventure HUB is on the ground and in the know when it comes to showing the way to all the best spots and must-do’s – guiding you to guaranteed memory-making experiences, whatever ADVENTURE means to you. The Adventure Hub encourage’s you to join us and explore, to get involved, to be curious, to discover new things, and to embrace a true slice of life in these parts. Freedom of motion is when you have mobility, you feel better and enjoy life to the fullest. Visit Ascent Physiotherapy for a journey into wellness and healing. They can help get you moving again! Banff Tea Co. is a local, specialist retail store. We mix over 40 exclusive Banff Tea blends and carry over 180 varieties of loose tea and herbals in total. You’ll also find unique gifts at our shop including Canadian crafted pottery and fun, tea-related equipment. Drop by for a sniff of the heavenly aroma and some tea supplies to warm your mountain adventures. Life Insurance. For what matters most. Osteopathic therapists often use the analogy of being a clockmaker – all the systems of your body must be working at their best in order to feel your best. Osteopathic Manual Therapists (OMTs) use a slow and gentle hands-on technique. Osteopathic therapists look at the systems of the human body in a global way – integrating musculoskeletal, digestive, cardiovascular, and the urinary systems, for example. If you’re looking to gain a strong & supple body, improve athletic performance, recover from an injury, or become an amazing teacher, Embody Pilates is for you. They offer the complete Pilates mat and equipment apparatus in a spa-like atmosphere, designed to enhance your mind-body experience. Nutter's was created from a vision of merchandising bulk and speciality foods in a clean, friendly, and customer service-oriented retail setting. Over the past 31 years, Nutter's has evolved into a truly unique food retailer combining a commitment to the pursuit of a healthy lifestyle with exciting in-store merchandising. Established in the mid-90’s Rebound is one of the premier bike shops anywhere, known world-wide for quality staff, bikes, rentals and customer service. Carrying bike brands like Factor, Scott, Pivot, Trek, Evil, Salsa, Devinci & many others. With mountain, road and fat biking as their specialties Rebound Cycle aims to stock only the highest quality brands our industry has to offer in those categories. Canmore's original Physiotherapy clinic, located on Main street, offers a unique team approach to help you stay fit and healthy, and do what you love to do. Services include Physiotherapy, Massage, Acupuncture/IMS, custom orthotics, dizziness & post concussion care, sports injuries rehab and more. "Keep getting better". Envisioned since 1992 as a world-class, four-season resort community, Three Sisters will be home to active outdoor enthusiasts and a rich ecosystem. Three Sisters will be the epitome of what residents and guests already know and love about Canmore—an extended hub for holistic health and adventure, a home base for many and most importantly, a dedicated area where wildlife can move safely in corridors set aside just for them. Three Sisters’ will continue Canmore’s legacy of offering a high quality of life, access to world-class recreational amenities, and co-existence and respect for the natural environment. Its two districts—Smith Creek and Three Sisters Village–will be a showcase for best practices in community design, bring economic opportunities to Canmore, and provide an elevated mountain experience for Canmorites and guests alike. Located in the heart of the Rocky Mountains, The Yoga Lounge is a nexus for yoga and intelligent movement. As a family owned small business, our studio is a labour of love set on community and personal development. With a roster of long-term, dedicated and gifted teachers we are keen to share. With over 20 years experience, Brenda Bonnet is an Advanced Podologist with a Bachelor of Science in Podology. She specializes in Diabetic / Senior foot care as well as the resolution of Calluses, cracks, ingrown toenails, thickened nails and fungus. Active by Nature is located in the heart of the Canadian Rockies, in the spectacular mountain town of Canmore, Alberta. Formed in 2007 by sole proprietor, Mandy Johnson, Active by Nature offers instruction in nordic walking. Nordic Walking mimics cross-country skiing, but without the skis! It turbo charges walking, turning into a total body workout that utilizes virtually every muscle in your body in a gentle yet effective way. It promotes good posture, burns mega calories, provides exceptional stability on all sorts of terrain, and off-loads stress from the lower body. Active Life Physiotherapy was born out of the idea to empower individuals to be active in life over their life span. Heather King started the clinic in 2007 in North Vancouver, with a colleague, in a community centre fitness setting. The clinic provided high quality, focused care with extended appointment visits so treatment was provided free of the usual rush. Over the years the team grew to include other Physiotherapists, a Dietitian and a Mental Performance Consultant to provide a more comprehensive and holisitic approach to honour and fully embrace the body and mind connection. Our patented technology releases a carefully cultured probiotic vapor into the air. The probiotics consume the same organic pollutants needed by other bacteria. This process increases the ratio of good to bad bacteria. The probiotics clean even the hard to reach places such as mattresses, carpets and keyboards. They will also help to keep air ducts and HVAC components clean. BetterAir purifiers are chemical-free, organic and safe for humans and pets. It takes a very special person to work here at Canmore Cave Tours. We are all very passionate people and we love what we do. We eat, sleep and breathe all things caving. But, more importantly, what makes each and every one of our team members so incredible is their commitment to offering you only the best possible experiences. From the moment you first speak with our customer service team to the final wave goodbye, we want you to feel like you were in the best of hands. Ali Temesy, psychotherapist and sole proprietor of Canmore Talk Walk Therapy, helps people manage physical pain and mental health issues such as depression, anger, stress, anxiety, post-traumatic stress, and loss/ grief. Canmore Talk Walk Therapy, based at Three Sisters Mountain Village, offers ‘talk therapy’ in the office or the unique option of ‘talk walk therapy’ which takes place outside on easy walking trails amidst the stunning Rocky Mountains. Susan Hoy makes nutrition focused eating easy and accessible for everyone. From the busiest people with limited time to those raising families with a limited budget, everyone can eat for health. Specializing in Plant-based Whole Foods Susan focuses on long-term health and living disease & condition free. Bringing a truly unique skill set and professional training to the table, Susan is a classically trained Red Seal & CCC (Canadian Chef de Cuisine) chef AND Agrologist (soil & vegetation specialist). She has extensive knowledge of the food manufacturing industry and is passionate about empowering clients through education and hands-on abilities. Her clients change their health one meal at a time. Combining hands-on techniques and gentle movement exercises, private sessions with a Somatic Educator are designed to help you reconnect with your internal awareness and get to the root of your muscular tension and pain - your brain. Sessions are suitable for all ages and fitness levels, and can benefit everyBODY. If you are looking to move more efficiently, decrease your pain levels, improve your posture and coordination, refine your athletic performance, or maintain an active lifestyle as you age….come explore Somatics. ARTISAN. VEGAN. CREAMERY. At Glowfood, we use only the best organic, raw tree nuts to make our vegan cheeses. The spices, herbs, fruits, vegetables and salts that wow your taste buds are carefully selected, and we're not just saying that. Sourcing quality is really important to us. Dairy Free. Soy Free. Gluten Free. GMO Free. Bad for you free. Artisan vegan cheese. Cultured in small batches. Hand-crafted by the owner. Life is SO busy today - there are more demands and less time. How you approach your busy life makes a big difference. If you build in regular pauses, you can stay connected to yourself and move forward with calm and clarity. Whether you are looking for a retreat, needing some clarity, want a guided hike or seeking a bridal EcoYoga getaway with the girls there is something here for the nature inclined. Canmore Magic Fingers Clinic massage is nestled in the beautiful Canadian Rockies, between Banff & Calgary, with locations in both Canmore and Exshaw. Established by Christine Labrot in 1997, the clinic offers massage therapy and many other alternative ways of improving your health and well being, bridging the connections between mind-body and spirit, and complementing any conventional medical approach. Christine is well trained, passionate and dedicated to give you the best care possible, leading you to the summit of your health and well being! At Mountain Glow Laser and Spa, we offer a wide array of services in a relaxing, warm environment. Our services include traditional tanning beds, spray tanning, manicures and pedicures, shellac application, waxing and tinting services, 5 different types of massage but unfortunately we do not offer RMT massage at this time. The Organic Box is owned and operated by a local Edmonton farming family. With over 40 team members in Alberta and a network of supporting farming families across western Canada, we work together to find ways to eat sustainably. Danielle Arsenault, founder of Pachavega Living Foods Education, is a lover of many things. She is a passionate Raw Food Chef, Spanish teacher, cave guide, slack liner, rock climber, mountain lover, cookbook author, humanitarian, environmentalist, vegan and plant-based nutrition expert and lifestyle coach. It is her dream to educate the world about the healing power of plant-based whole foods and a healthy lifestyle rooted in compassion for the planet. SC² provides affordable performance and training services for those who seek enhanced movement, improved athletic ability, a greater quality of life, and longevity. SC² is the birthplace of stronger, faster, and more resilient athletes. SC² nurtures the body for safe return to play after injury, and we nourish the body during the precious years of pregnancy and early motherhood. At the First Strep to Freedom, Michelle Davis offers hypnotherapy and EFT within a therapeutic setting to assist adults and teenagers manage Stress, Anxiety and Depression, as well as other common problems, within the Bow Valley community. WildHeart began with one main goal in mind, to create a space where people can gather and move their bodies, we call WildHeart “a space to find movement”. We saw an opportunity to offer a fresh, and spirited space to compliment a wide variety of classes. WildHeart is a truly unique experience starting from the moment you step into the studio, we offer citrus infused water, soft cotton hand towels and free mat rentals. Currently we offer four different styles of ballet inspired barre classes and yoga classes designed for the active and adventurous (see barre descriptions on website for more information). Whether you are experienced or new to yoga or barre we have something on the schedule for everyone. Our classes and teachers are guaranteed to leave you feeling energized and rejuvenated. Cindy graduated from the Physiotherapy program at the University of Manitoba in 1997. She has been licensed in Saskatchewan, Manitoba, Yukon and Alberta as a physiotherapist. During her career, she has worked in community therapy, hospital inpatient and outpatient departments, and private clinic settings. She established Wildwood Physiotherapy in 2005.